Nanji Island is the main island of a group of 15 islands and islets, situated in the south-eastern waters of Pingyang County, Zhejiang Province, in south-east China. 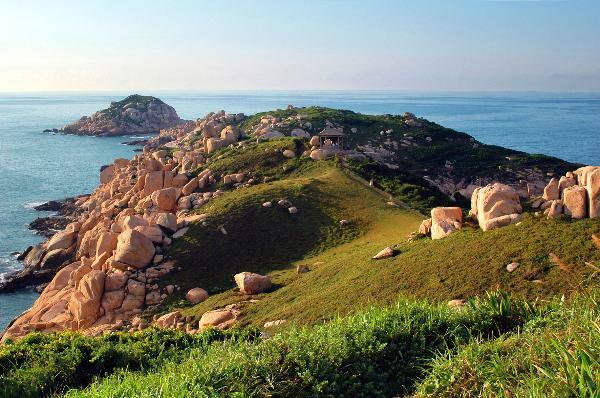 This was the first coastal biosphere reserve in China. The coastline consists of exposed bedrock and sharp cliffs, bays and islets. The biosphere reserve offers a multitude of diverse marine habitats which host a rich number of shellfish (some of them endemic) and algae species.The shellfish and algae are intermittently distributed in the tropical and temperate marine realms, which makes this species-rich site even more important for conservation and scientific research.